New York Life & MORE! 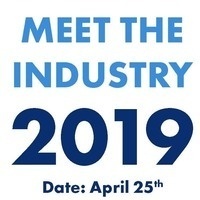 Meet the Industry will introduce students to a variety of industries and careers pertaining to students majoring in but not limited to Finance, Business, Management Information Systems, Supply Chain, Accounting, Insurance & Risk Management, Human Resource Management, Entrepreneurship, Management, and Marketing. Niche round table discussions focus on the career paths and growth trends in specific industries.